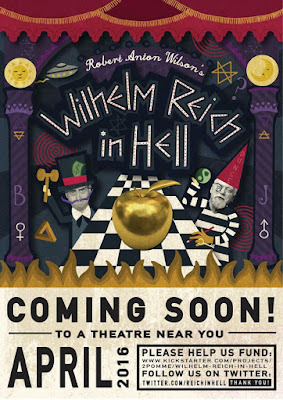 The folks staging Robert Anton Wilson's "Wilhelm Reich in Hell" have released a poster. 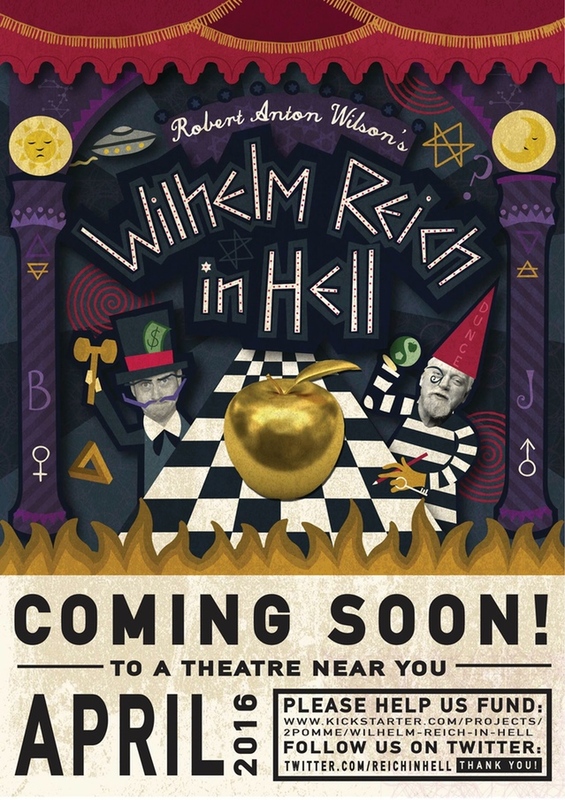 You can get one by contributing to the project's Kickstarter campaign. It's available for most tiers of contributions. You can join me in following these guys on Twitter.